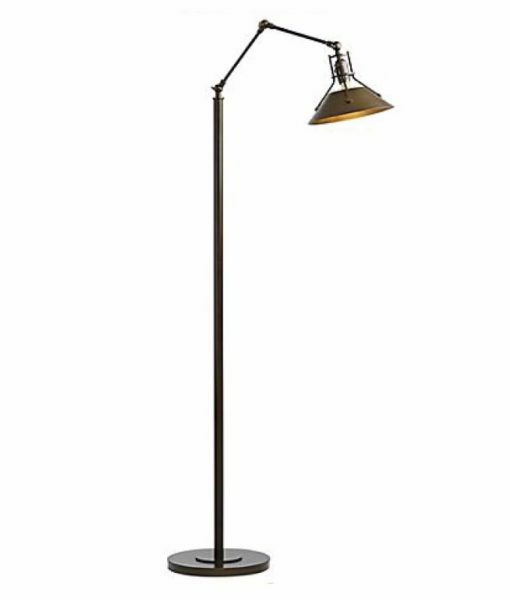 The Henry floor lamp, with its riveted hand-curved metal shade and stark design, delivers a strong industrial vibe. A close look will reveal a level of craftsmanship beyond the norm. Hand-crafted by artisans at the Vermont forge. Henry also comes as a mini pendant or a sconce. Several different metal finishes are available.